MANILA, Philippines – Some congressmen oppose the move to bury the late strongman Ferdinand Marcos at the Libingan ng mga Bayani, saying this would be injustice to the victims of martial law. “Burying Marcos at the Libingan ng mga Bayani is tantamount to burying the numerous atrocities he committed under his authoritarian regime,” said Akbayan Representative Tom Villarin on Monday, August 8. A day before, the administration of President Rodrigo Duterte announced that preparations to transfer the remains of Marcos from Ilocos Norte to the Libingan ng Bayani or the Heroes’ Cemetery are underway. For Bayan Muna Representative Carlos Isagani Zarate, Marcos’ remains should stay in Batac, Ilocos Norte. “We should not allow the unrepentant Marcoses to use the burial issue in advancing their revisionist lies on the blood-drenched legacy of the dictator,” he told Rappler in a text message. “No amount of amount of embellishment can whitewash the plunder, terror, and grave human rights violations perpetrated during the reign of Marcos, a dictator and certainly not a bayani (hero)!” added Zarate. Ifugao Representative Teddy Brawner Baguilat Jr also opposes the move for Marcos to be buried at the Libingan ng mga Bayani. He shared that he has 3 relatives who were part of the military and are currently buried at the Libingan – his late brother Captain Winston Brawner Baguilat, his cousin 1st Lieutenant Felix Brawner III, and his uncle Colonel Franklin Brawner. Baguilat’s brother was killed in action in Basilan while his cousin died in an operation in Bicol. The lawmaker’s uncle, meanwhile, died because of cancer. “[My brother] fought corruption and died so his country can be free from war. Now we’re burying a dictator who plundered our economy, who made corruption a lifestyle. 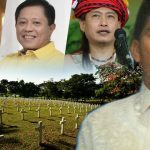 We’re giving full military honors to a president who suppressed freedoms, jailed, and tortured those who fought our freedoms, allowed killing of human rights defender and activists,” said Baguilat. Albay 1st District Representative Edcel Lagman is set to deliver a privilege speech against the transfer of Marcos’ remains on Tuesday, August 9. 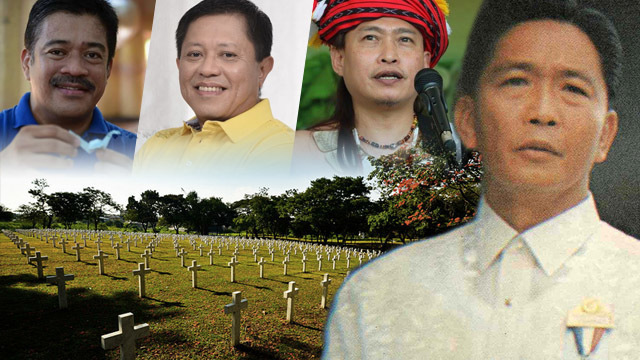 According to Villarin, the Duterte administration should review its decision to bury Marcos at the Libingan ng mga Bayani because it may send the “wrong message” that they are not as serious in their pursuit of social justice. “The burial issue is a governance issue as this concerns how we judge the Marcos government. It has been proven that Marcos led a corrupt, brutal, and dictatorial rule that impoverished our people and nation,” said Villarin. The AFP said late Philippine presidents, national artists, scientists, dignitaries, and AFP chiefs of staff may be buried at the cemetery as well.